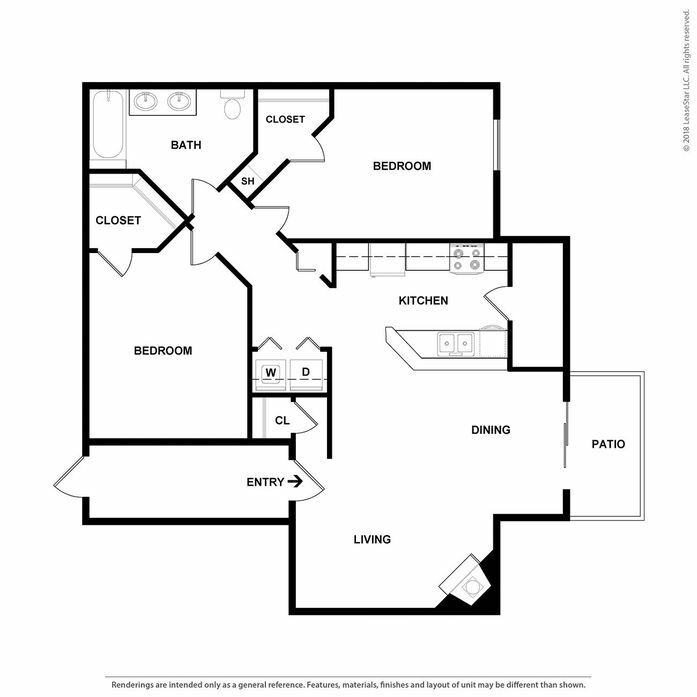 The spacious, one bedroom, one bath apartment has a huge living and dining room with optional fireplace, spacious kitchen, laundry nook, and walk-in bedroom closet. 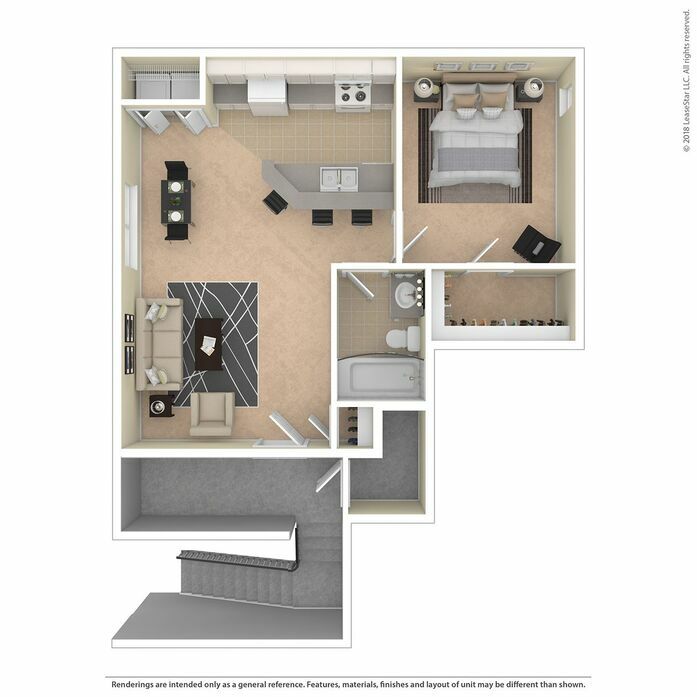 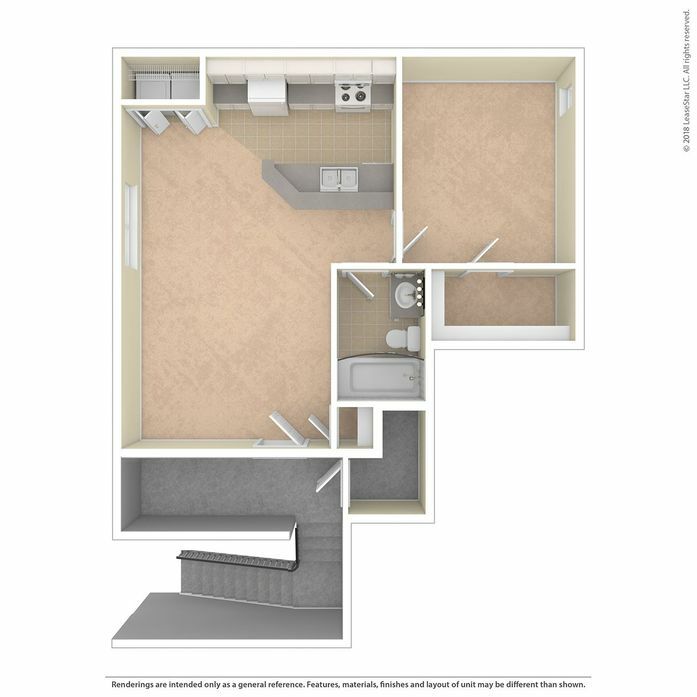 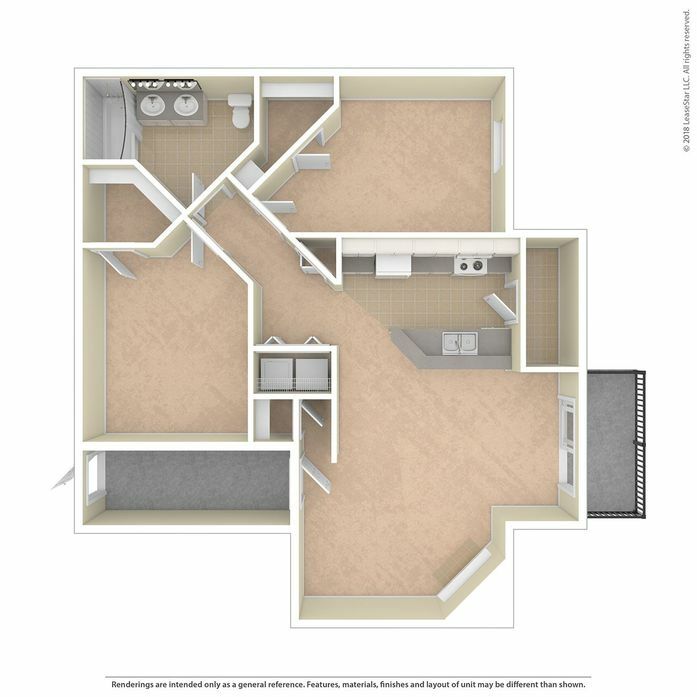 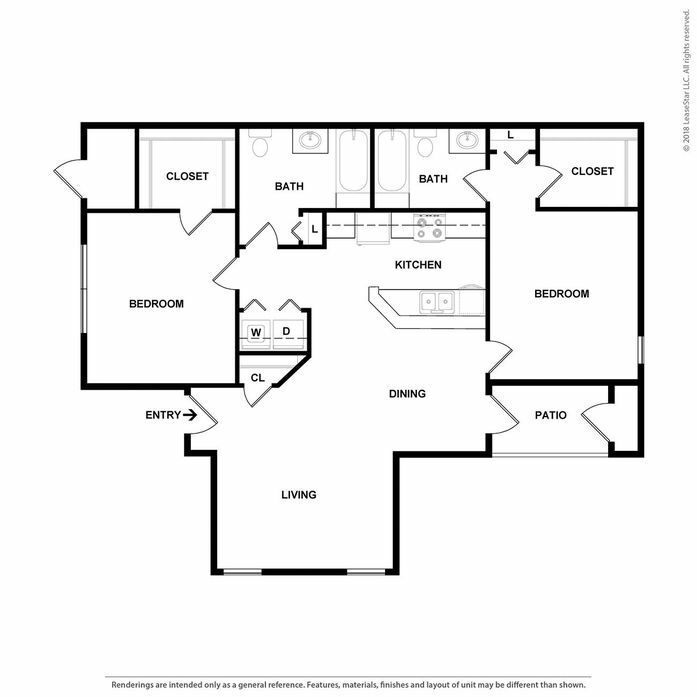 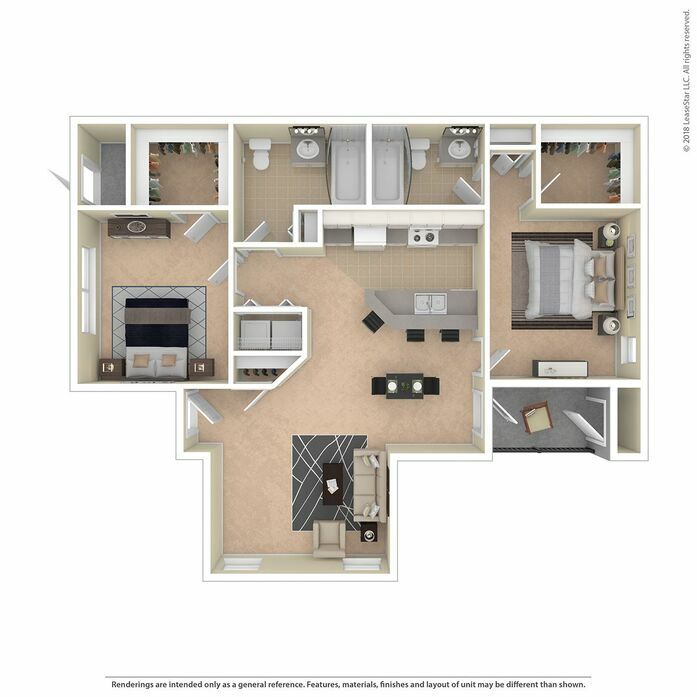 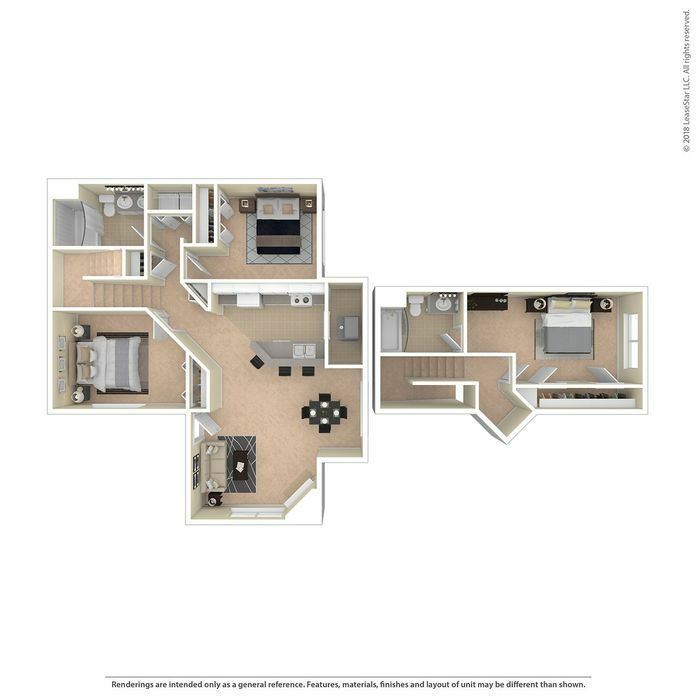 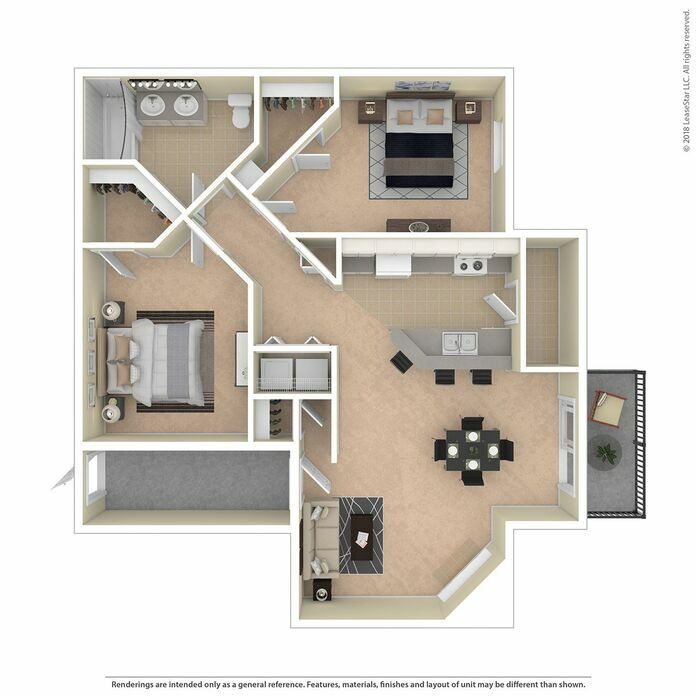 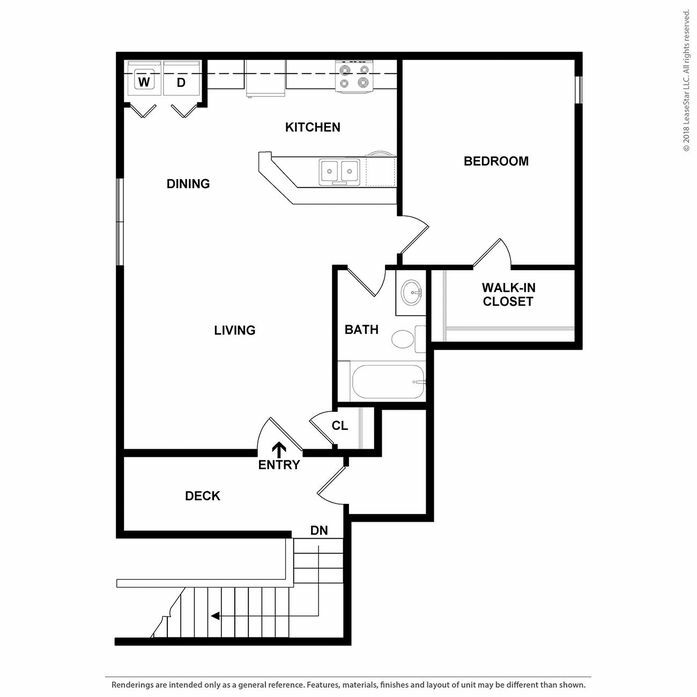 The small one bedroom, one bath floor plan enters from the patio into a spacious living and dining area, laundry area, and plenty of closet space. 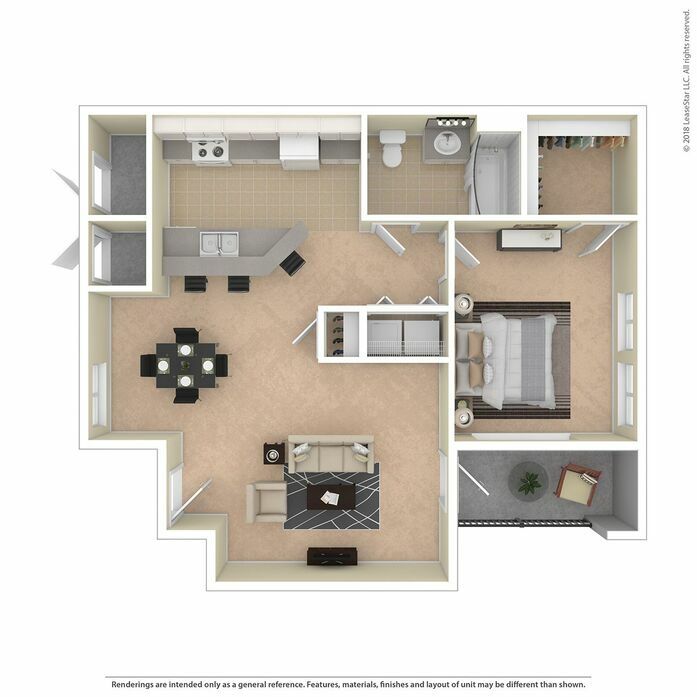 The spacious two bedroom, one bath apartment home has walk-in closets in the bedrooms, a laundry nook, balcony, optional fireplace, and spacious, open living area. 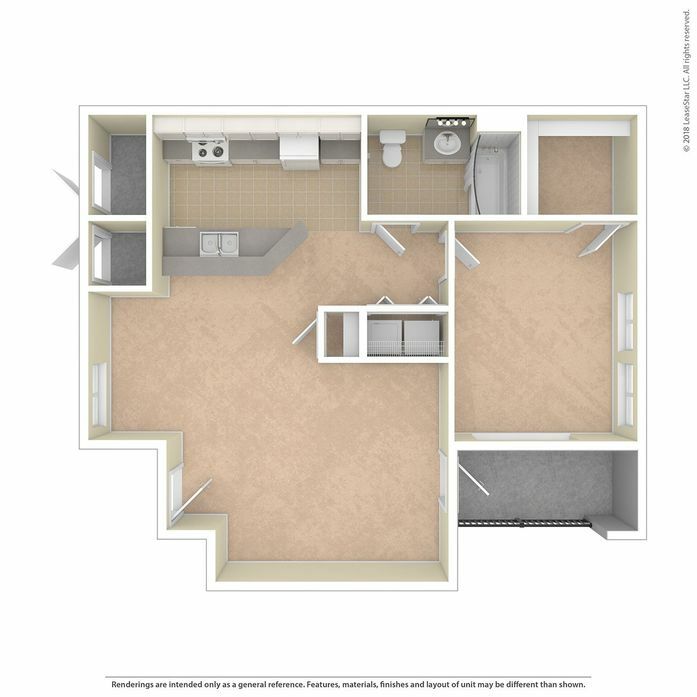 The large two bedrooms, two bath apartment home has walk-in closets in the bedrooms, a laundry nook, balcony, optional fireplace, and spacious, open living area. 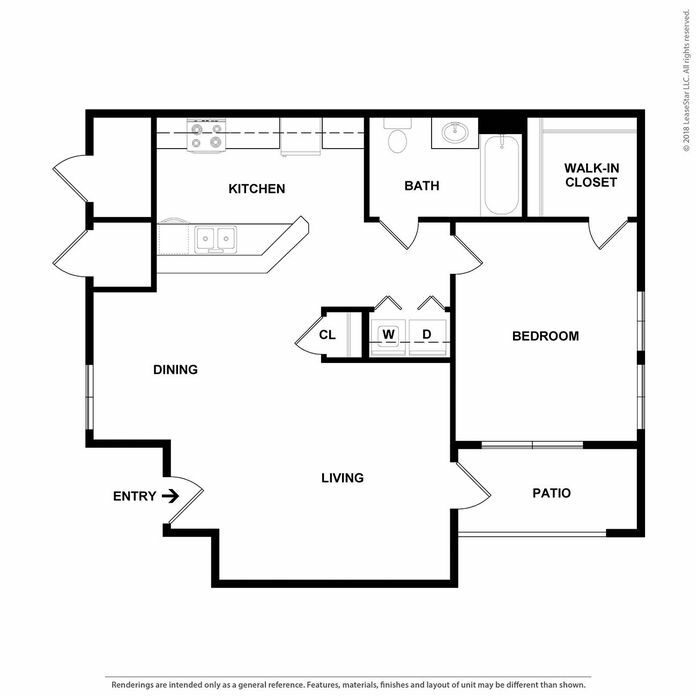 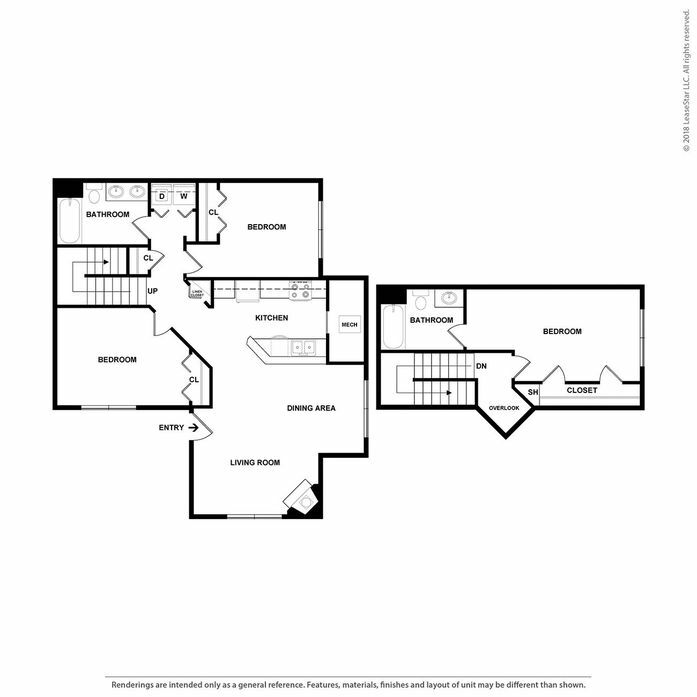 The three bedrooms, two bath townhome is two stories with the third bedroom and second bath upstairs. 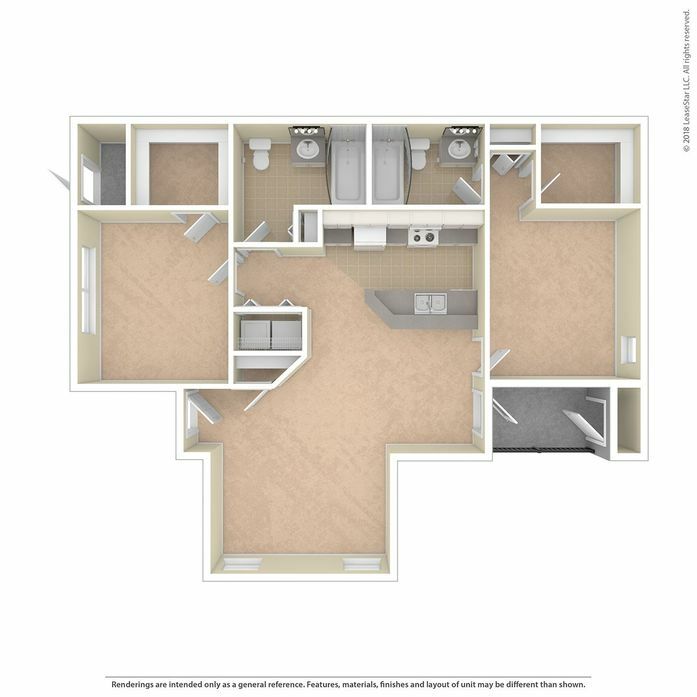 The main level has an open living space with fireplace, overlooked by the large kitchen. 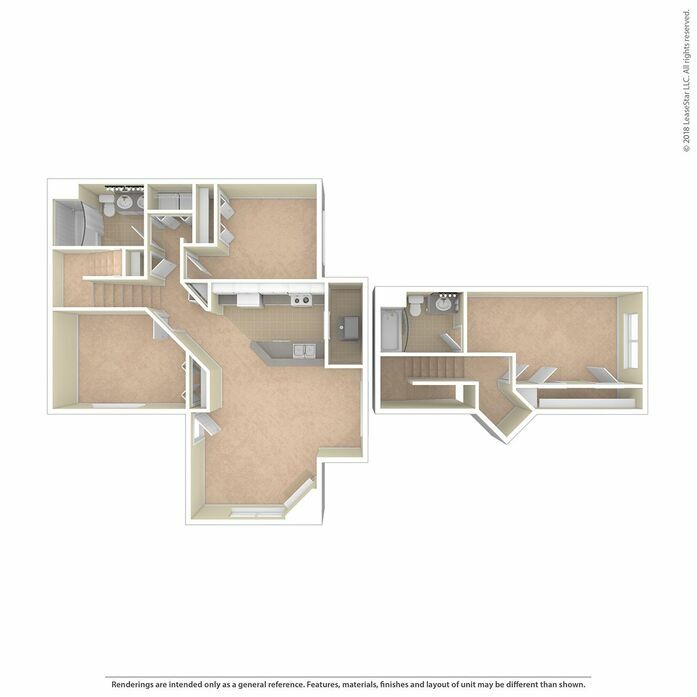 The Willows At Printers Park.